The course is packed with main takeaways that are easy to remember and are key concepts for the GRE. It also includes ingenious mnemonics that help you easily remember important knowledge that always shows up on the GRE, and expert question and answer sessions that test, reassure, and reinforce your knowledge of the material. This powerful GRE course was created by expert GRE tutors and teachers who know the test and all its variations inside and out. The authors also know and share the very best ways to prepare for the test for maximum results. This is a terrible GRE review. Completely out dated and not applicable to the current GRE. It has generic test taking tips but nothing directly related to the GRE. It recommends things such as making notes in the margins of paragraphs on the test. This is a computerized exam so that isn’t even a possible answer. The only person I would recommend this to is someone who is competing against me for the same grad school spot because it would guarantee I would score better than they would. It would compliment if you already had the basics. I would, however some background and some previous study about GRE is needed. Would you ever listen to anything by Official Test Prep Content Team again? I would, and I am already listening. Would you be willing to try another one of Danielle Fornes and Frank Monroe ’s performances? 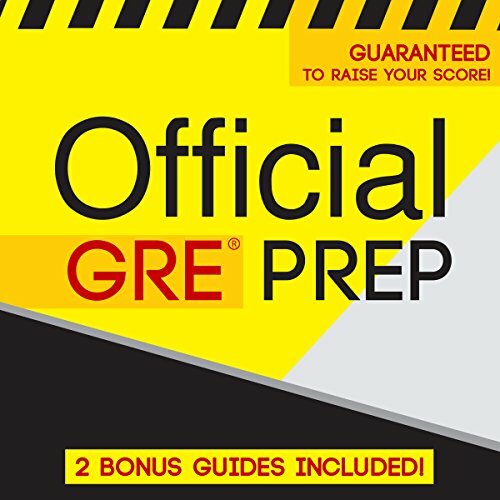 Did Official GRE Prep inspire you to do anything? Yes, it gave me some preview of the exam. It can go nice as a side study, with some real reading and studying. too much talk about what the test will be like for 9-10 chapters. my lord. get to the gre subjects!!! The only thing that bothers me is that I have to pause it a lot and rewind for the reading comp parts. Other than that, it's a solid listen, and the narrators are conscious that this is an audiobook, so there are pauses so you can write. I just wish there was a kindle read-along version. That would be perfect.